The Gulfstream GIV-SP is an extremely versatile private jet aircraft. 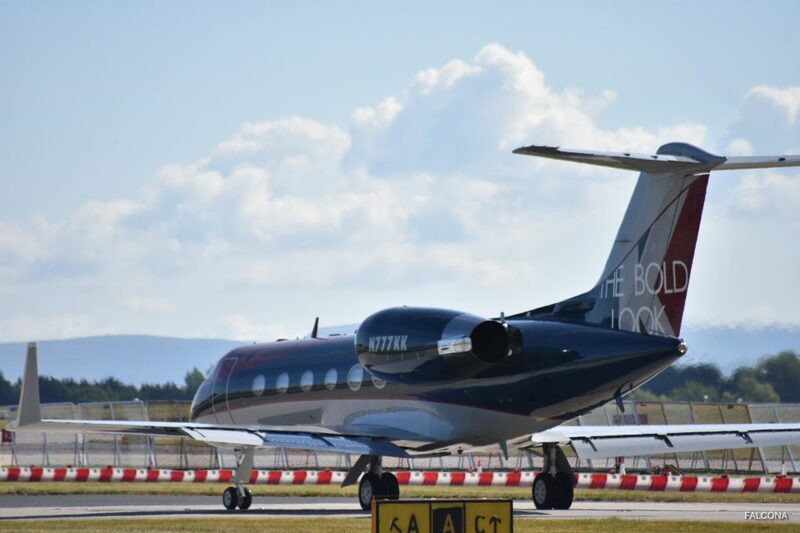 For charter flights it offers great performance, and additional space, this aircraft is an ideal intercontinental business jet. G-IV is recognisable by its low/swept wing with winglets, its swept T-tail with swept horizontal stabilizer, and its two rear fuselage mounted engines. 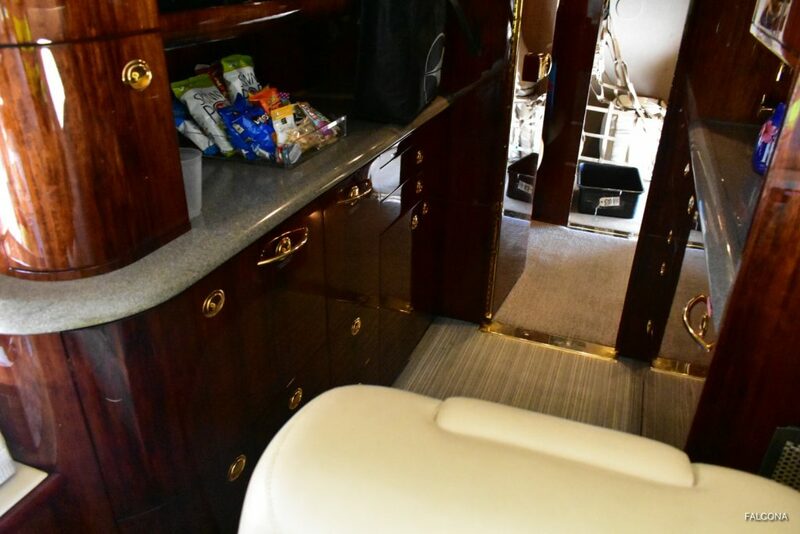 The Gulfstream GIV-SP features a long and spacious cabin that include signature large oval windows, full galley and a large lavatory. 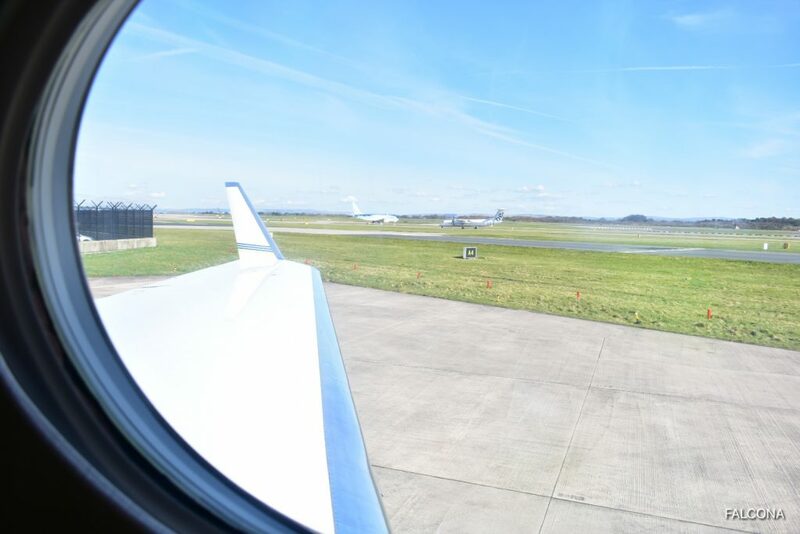 It is an excellent choice for larger groups or longer flights for flights from the East Coast of America to the UK. Each cabin measures 45.1 feet long by 7.3 feet wide by 6.1 feet tall, making it spacious and comfortable to accommodate up to 13 passengers. 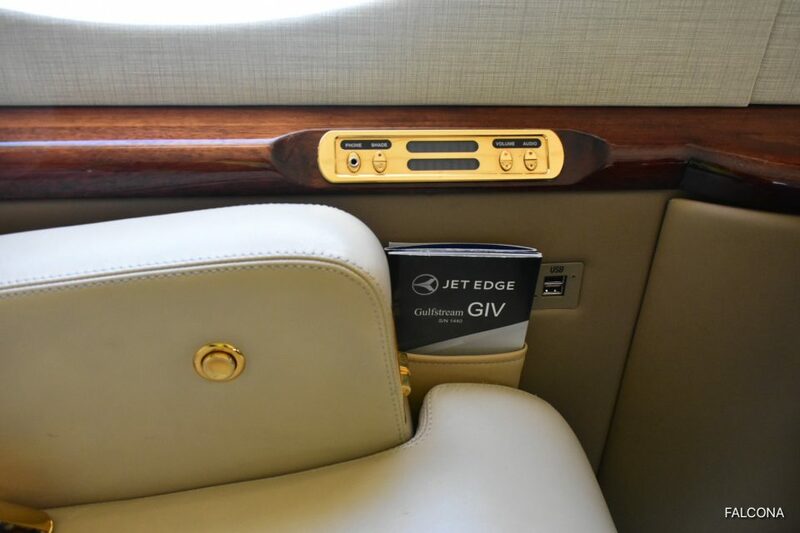 Providing the ideal choice for business or leisure travel, each G-IVSP is equipped with Wi-Fi connection and the latest in-flight technologies for passengers to remain relaxed yet productive. Features five berthable beds, a full-service forward galley and Gulfstream’s signature oval windows. Two Rolls-Royce Mk 611-8 engines power the Gulfstream GIV-SP each offering 13,850 lbs of thrust and using a combined 479 gallons per hour (GPH). The range of the GIV-SP is 4,091 nm with 4 passengers with available fuel. 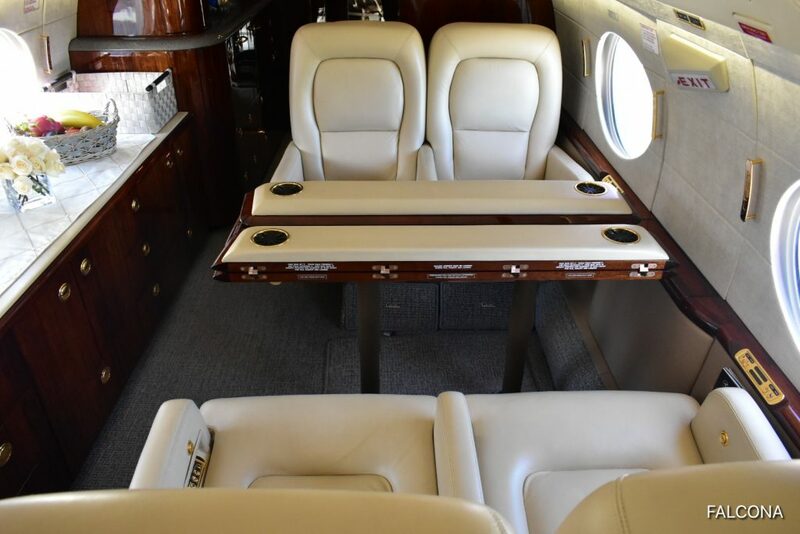 The cabin volume for the Gulfstream GIV-SP is 1,658 cubic feet. Typical configuration features 13 passengers and 2 crew seats. The Gulfstream GIV-SP is one of the world’s best selling large-cabin, long-range business jets. 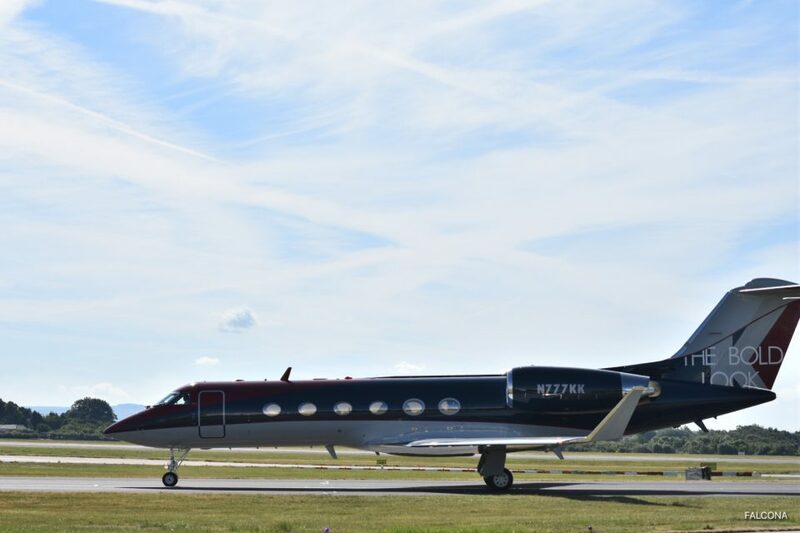 With a range of 3825 – 4450 statute miles, the Gulfstream GIV-SP is an ideal choice for intercontinental missions such as New York to Frankfurt, Chicago to Barcelona. 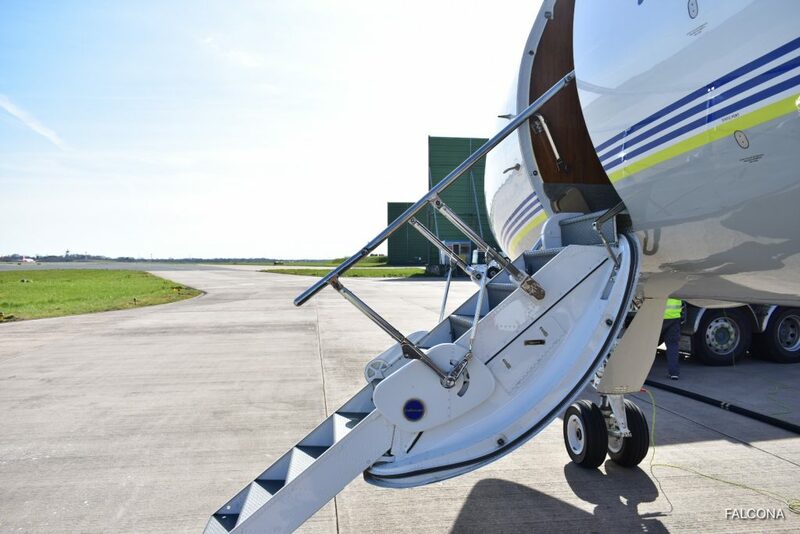 With this added flexibility, it is easy to see why the GIV-SP continues to be the long-range aircraft of choice for companies and individuals around the world. 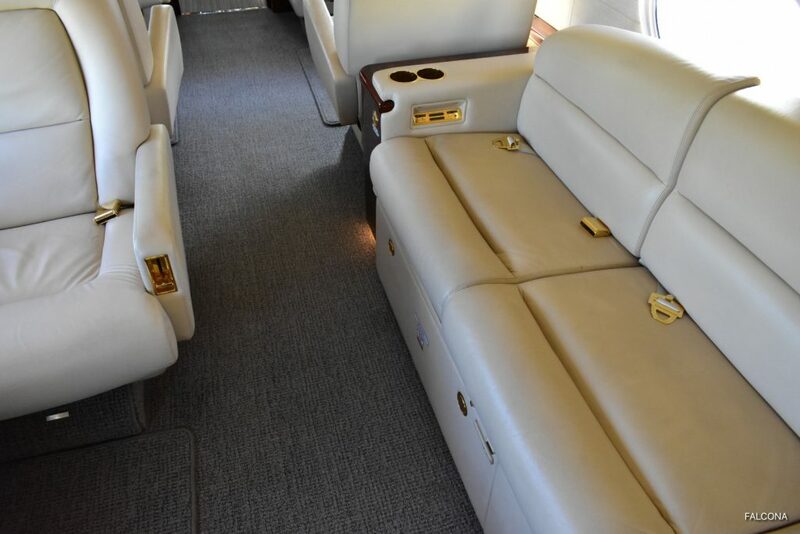 This beautiful aircraft is equipped with seating for three crew members and up to twelve passengers. The spacious cabin is designed with an arrangement consisting of a forward four-place club, mid-cabin three-place divan with an opposite single-seat and workstation, and an aft four-place conference group with an opposite credenza. The cabin is fully berthable and includes bedding for the aft conference group and mid-cabin divan, providing comfortable overnight sleeping accommodations for passengers. Technology improves performance and safety. Equipped with some of the most advanced electronic systems, the Gulfstream GIV-SP builds on its predecessors reputation for reliability and strength. Incorporating technology that provides increased cockpit automation by reducing pilot workload, and offering multiple system redundancy to limit aircraft down time and promote safety of flight and wireless communication systems giving flight crews and passengers the ability to always stay in touch. The Gulfstream GIV-SP is an extremely versatile aircraft. 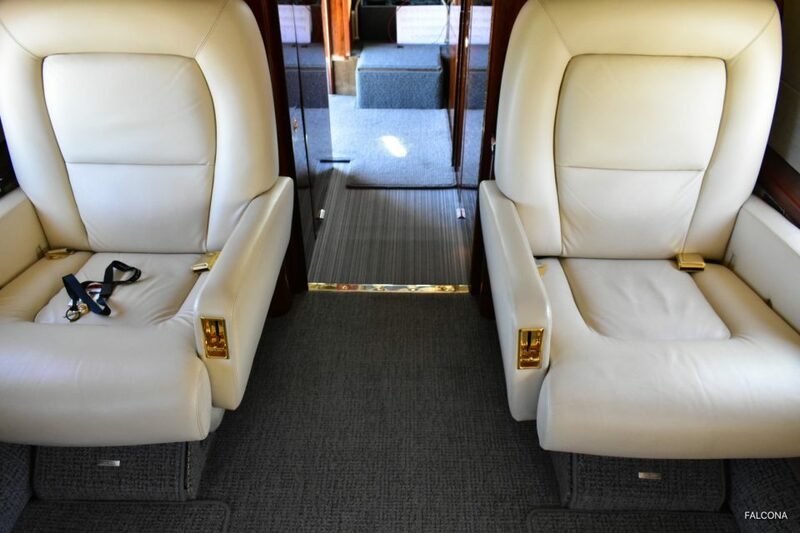 Offering great performance, and additional space, this aircraft is an ideal intercontinental business jet. We recommend this aircraft for flights from the UK to the East coast of America or to the Middle East. Please note: Prices shown are estimated prices for charter of whole aircraft – alternative aircraft and airports are also available upon request.